Against the Odds - where Sian and Madoc first met. A Woman. A Family. A Farm. Sian and Madoc have borrowed heavily to buy a neglected farm, Stone Side, in the beautiful countryside of east Cumbria. They are land-rich now but short of cash and indebted not only to the bank but to members of their family. 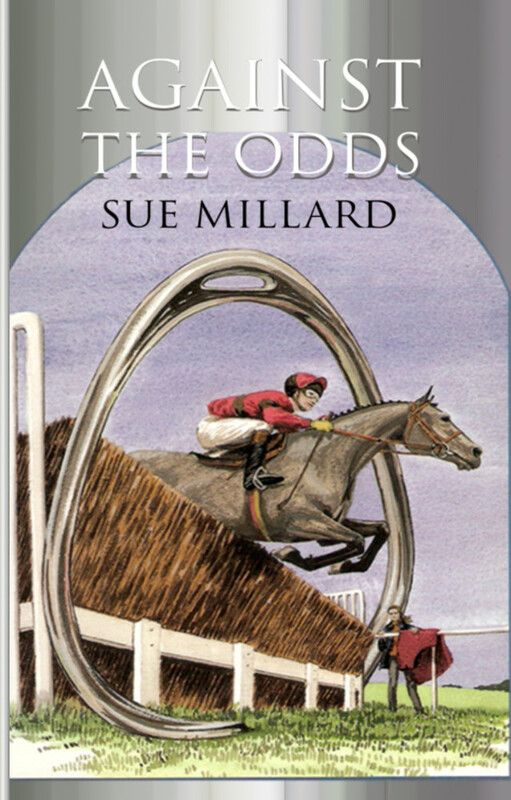 In this sequel to Against the Odds Madoc has reluctantly had to give up his ambition to breed thoroughbreds, and instead runs the sheep farm and pre-trains young horses for National Hunt racing. Sian is a fierce mother of their three teenage children, Robbie, Cerys and Jack, but in what free time she has, she buys and trains Fell ponies. When Madoc’s brother calls-in a big loan, the tensions begin to mount… and on the wild fellside, for someone the stakes are as high as murder. £ 12.99 from bookshops. Paperback publication date: 18 September 2018. You don't need a PayPal account; just choose to "Check out without a PayPal account". Alternatives for overseas purchasers - these may save on postage. To buy more than one book please email for a combined postage rate. ***** Scratch... Wow, I loved it! ***** And it’s also the best cover I’ve seen for some time! Scratch is a sequel to Against the Odds published [in ebook form] in 2013, so volume two has been quite a long time coming. 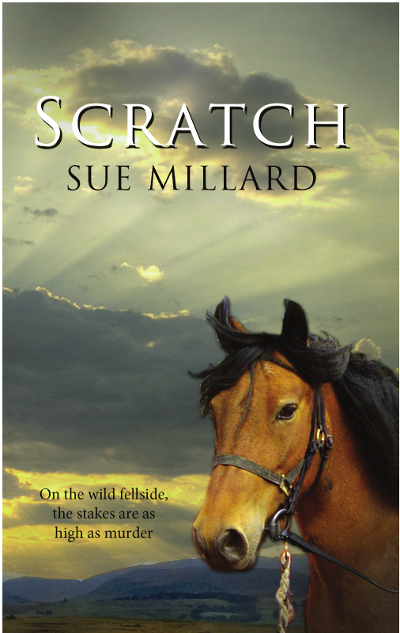 Scratch might be a sequel, but you don’t need to have read Against the odds to enjoy Scratch. But I think it might help with understanding the back story if you have, so why not buy them both? At 365 pages, you can, for a full year, enjoy a page a day! It is not exactly crime fiction, although it does contain crime and intrigue. It tells the story of a family of five living on a hill farm in the fells of Cumbria, and unpicks the difficulties they, like all farmers, have with cash flow. The narrative explores the every day knock about of family life, and the importance of family. Madoc, the husband, pre-trains racehorses, his wife breeds and trains fell ponies. All the children to a greater or lesser extent work trying to make a success of their farm, but to quote from the book, they are ‘land rich, and cash poor’. Not only do they have horses and ponies, but also breeding sheep. Daw Bank, Greenholme, Tebay, Penrith, Cumbria CA10 3TA, England. Tel: 01539 624636. Mobile 07786 105817. To pay by bank transfer - please email for the codes.